Elementary Memphis in May celebrations, International Extravaganza performances, rigorous social studies courses, all encapsulate one of the tenants of a GMSD education. That tenant is to provide students with a wide-reaching, globally-enlightening education. 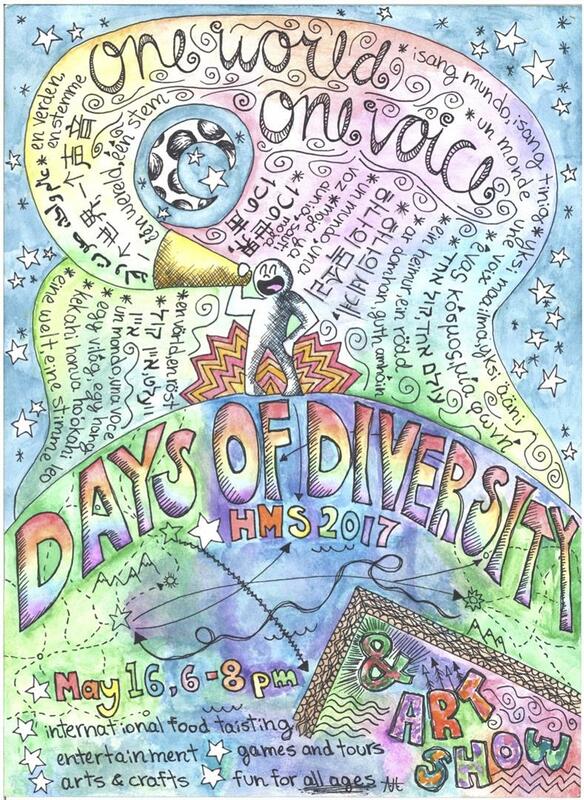 “Days of Diversity’’ at Houston Middle School further exemplified that mission this year. 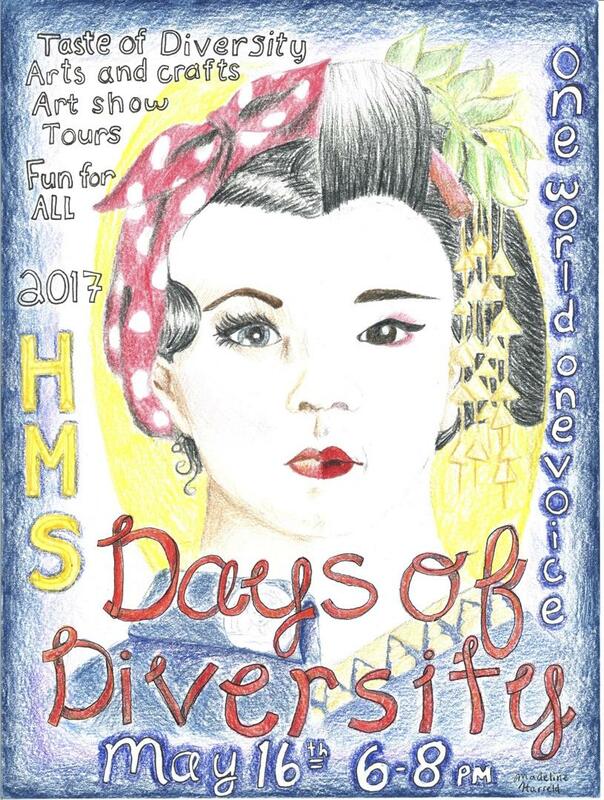 “Days of Diversity” is an annual school-wide event centered on a theme dedicated to providing education and experience of world culture to students. This year’s theme was “One World One Voice”. Last week the HMS building was be transformed into a vibrant globe of countries from around the world. Lessons will center on these countries’ unique customs and bright cultures, and every hallway was assigned a continent for which to decorate. On Thursday evening, the school opened its doors to the public--hosting an international taste smorgasbord and several international talent acts. “A Taste of Diversity” aspires to further the global experience of students beyond sight to taste of foods from other cultures and countries. Families filled the cafeteria to taste and see. "This is the most we've ever had to attend this event," said Principal Liz Dias who was happy to report the uptick in attendance. In celebrating cultures around the globe, HMS wants to also be sure to celebrate all the culture around the school. A giant world map was centrally displayed throughout the week, and the faculty and staff worked very hard to include each and every family on the map. “The whole event is just really fun for a lot of people!” says eighth grader Annie Holley of “Days of Diversity”. Great job, Houston Middle, on this unique and educational experience.